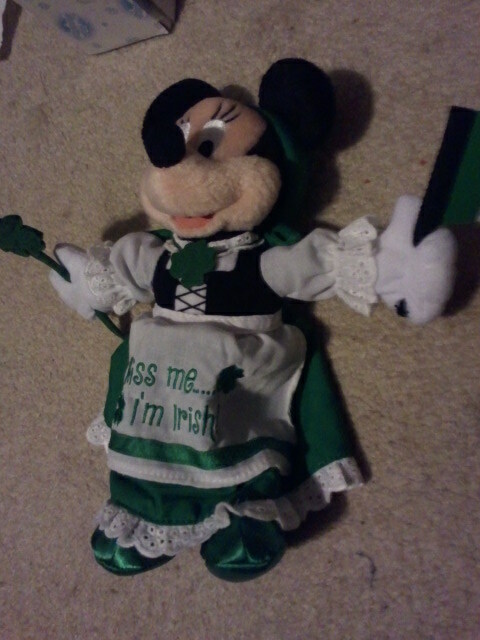 The day after I got back from Disney World I found two plushes.. A Minnie Mouse Irish Plush and a Mickey Mouse German Plush. It was a funny coincidence because my mom wouldn't let me buy a plush at Disney World because she said I find more stuff at the Good Will and I found these the day after we got back. 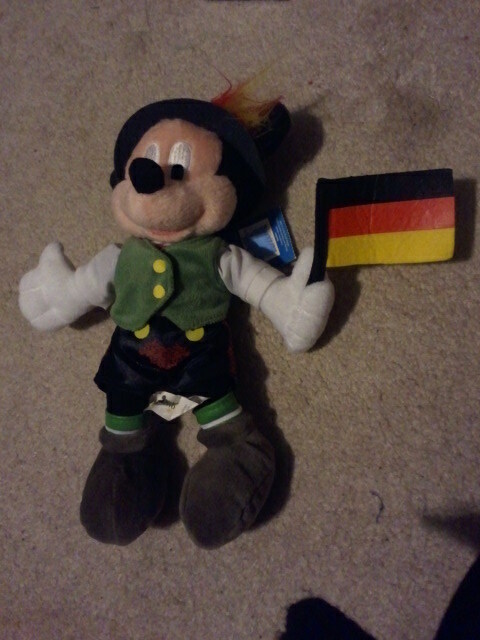 They were both $2.99 and still have the tags on from the Parks. The Vest on the Mickey Mouse opens up via velcro and shows a hidden mickey in the straps.